During the first decade of the 20th century, the Chinese community in Singapore began to set up schools that offered a modern form of education using Chinese as medium of instruction. By 1941, before the outbreak of the Pacific War, these schools had numbered more than 300. And by the 1950s, a complete Chinese school system comprised of elementary schools to tertiary institution had come into existence. 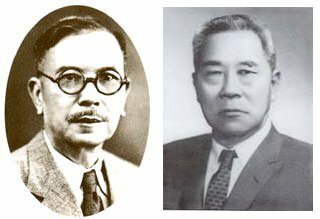 How did the Chinese schools develop in Singapore and how were they being managed and maintained with minimal or virtually no support from the colonial government? This talk will attempt to answer these questions and present a historical review of the role of Chinese education in Singapore. Dr. Neo Peng Fu is a historian by training. He received his undergraduate and post graduate education at the National University of Singapore and University of California at Santa Barbara respectively. He publishes in the fields of Chinese intellectual history and Chinese education in Singapore. He is currently an academic with the National Institute of Education, Nanyang Technological University. Read PDF Brochure of Talk: Chinese Schools In 20th Century Singapore.